The CineSlide is available standalone, or as a complete system with a variety of high end ground glass lenses by Isco, Schneider, and XEIT Optics. All of our lens offerings provide an anamorphic horizontal stretch without affecting image height, or focus of the 16:9 image when removed from the light path. All our lens options provide astigmatism (focus) adjustment, something that is unavailable with prism based lenses. All of our ground glass lenses provide the ultimate "scope" experience. Contact us for custom mounts for your existing lens. The CineSlide includes a basic IR remote control. See downloads section for Pronto and URC, programming files as well as HEX codes for use in other remote systems. 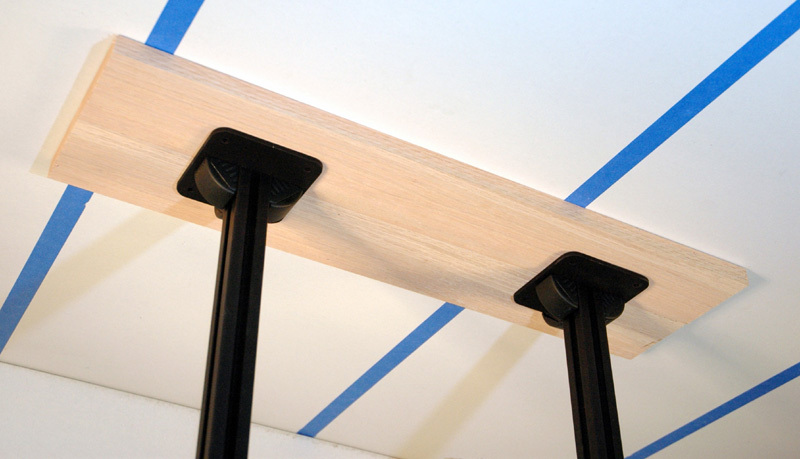 NOTE: "Blue" lines in photos represent possible/typical joist locations (16" O.C.). CineSlide in photos is a frame only, motor not shown. Photos below are for illustration and planning purposes only. 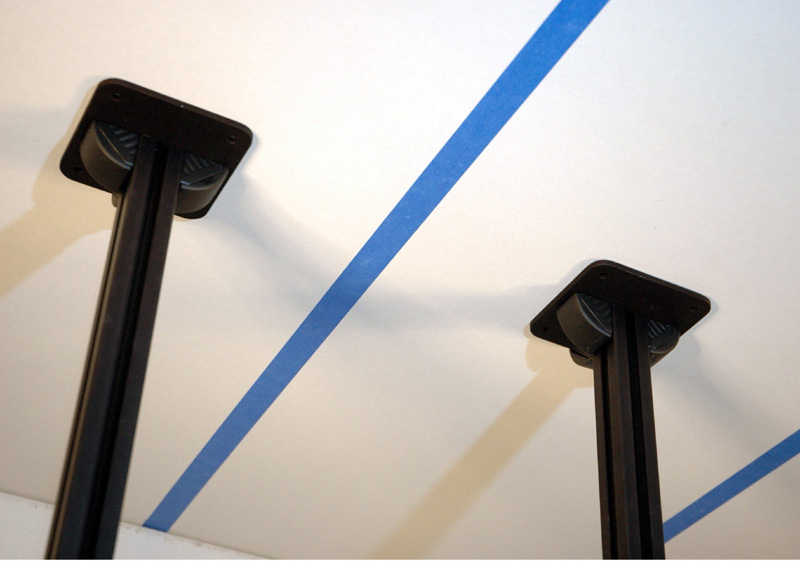 A qualified installer must determine the proper location for all mount points to ceiling structural members. 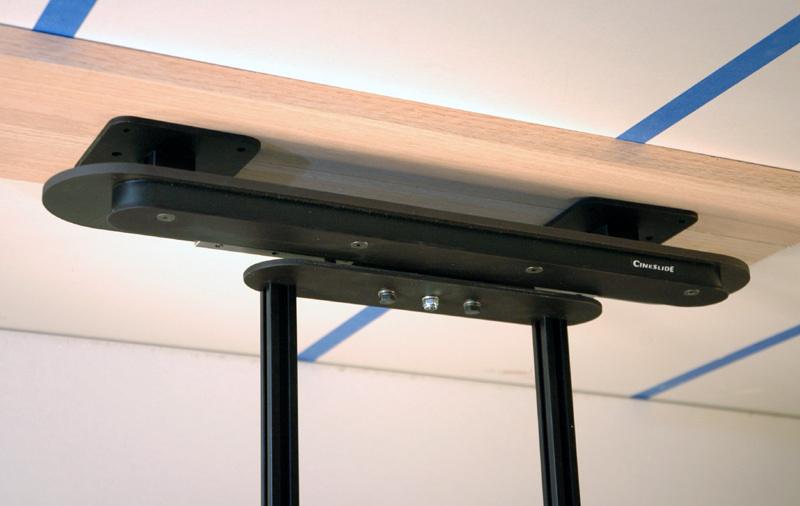 The hardware (screws, bolts, nuts) for attachment to a ceiling or structural member is not shown and not included. 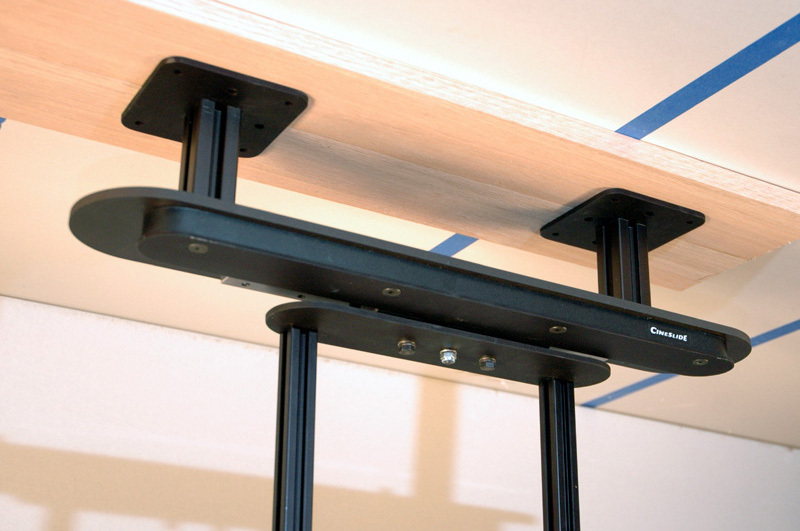 See installation kit instructions for minimum hardware recommendations, or consult licensed engineer, or architect. PP kit - MOST POPULAR, Recommended. 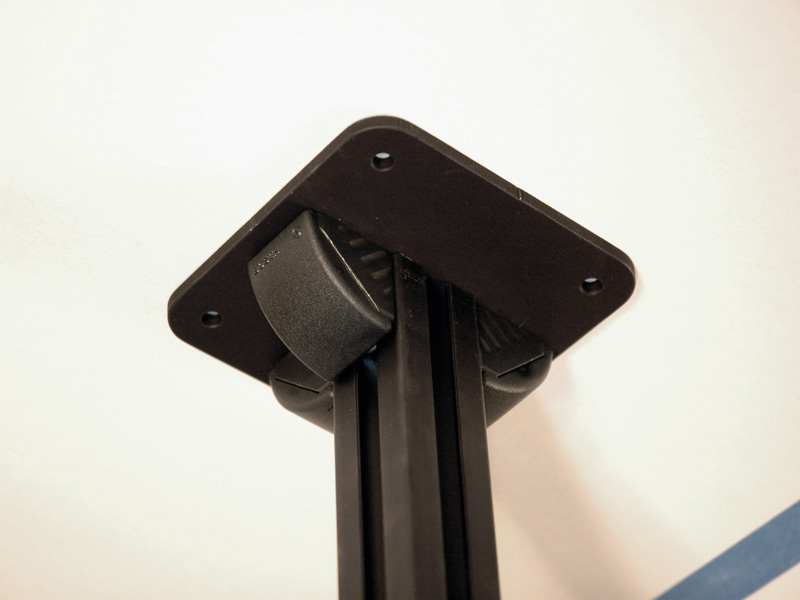 Post to ceiling plates mount kit - non-adjustable, in forward/rearward (F/R) direction. Left/Right adjustment is avail at device to post interface. 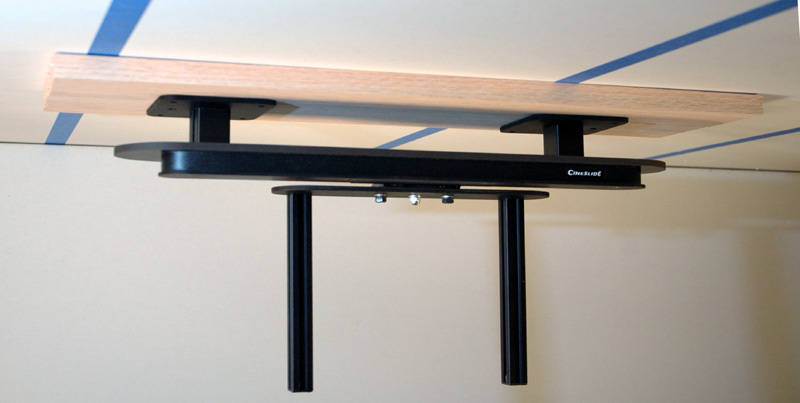 Posts attach to plates, plates must attach to a structural plate such as 3/4" plywood. 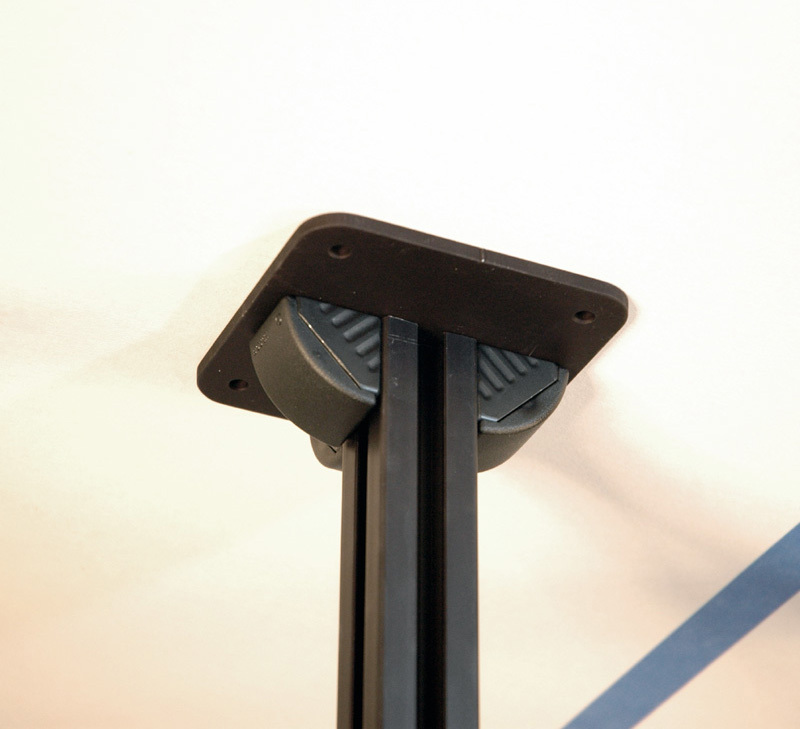 Specify post height, Min=2" (Pictured in low profile photos), Max 19" (pictured). 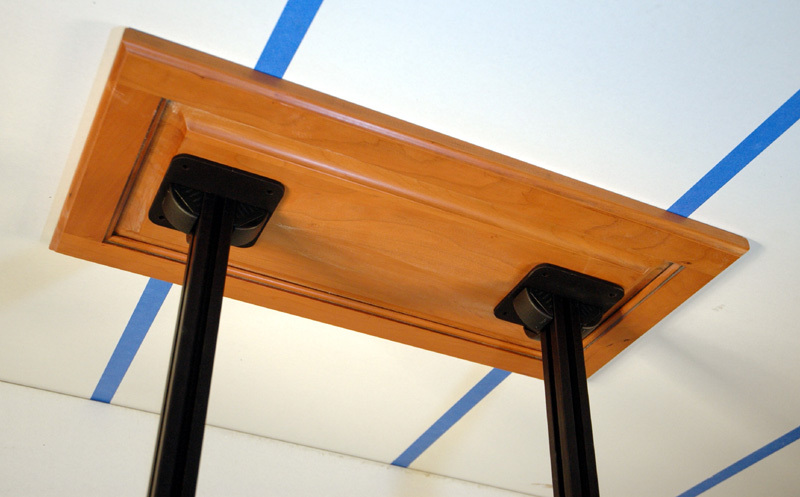 Requires structural plate or member to attach mount "feet" (e.g plywood, or decorative structural ceiling panel, backing panel, etc.). Structural plate must be attached to ceiling structural members. DO NOT ATTACH DIRECTLY TO DRYWALL/WALLBOARD. 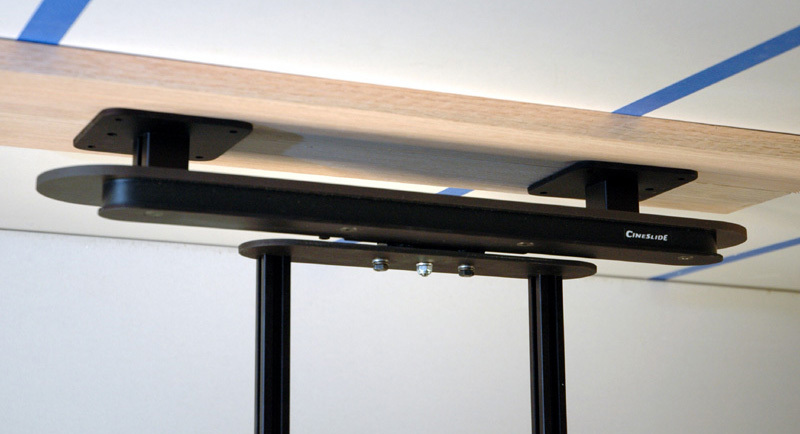 This kit is available in Short, Medium, and Long mount post lengths (see pricing link). 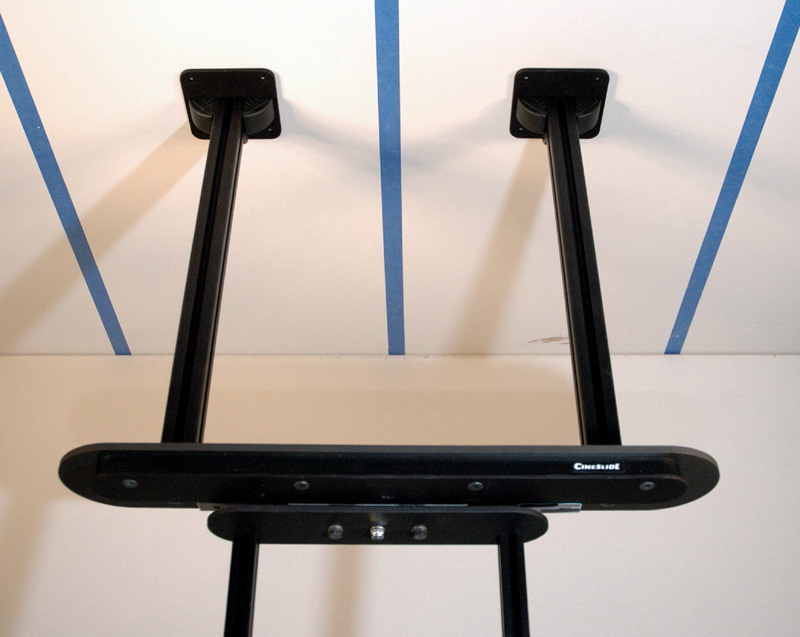 SHLF Kit - Shelf mount brackets.